﻿ As I mentioned a few posts back, I had to bail on the REV3 Olympic tri in Knoxville with my Teammies from Trakkers. Some family situations as of late required that mama needed to stay in town. And I was mega bummed…not that my family needed me, but that I was to miss the first big Trakkers party of 2011. But in that same post I also mentioned that my awesome pal Hope came to the rescue, just as she always did in school with animal crackers to prevent me from passing out after a missed lunch. But this time instead of food, it was a local race. 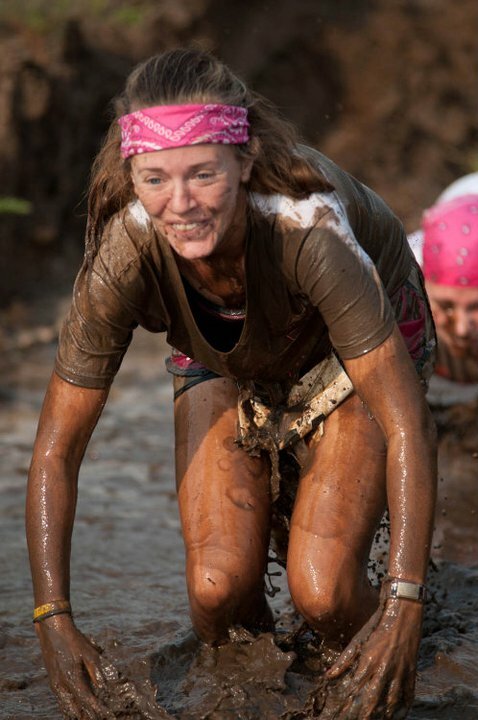 And not just a race, but a Mud Run. And so I wasn’t as bummed anymore. We showed up to the race site, at the Marina Inn at the Grand Dunes, on the Intracoastal Waterway here in Myrtle Beach SC. It took a little time to find a parking spot, and we had just enough time to take a few “pre mud” pictures before we lined up at the start and took off. 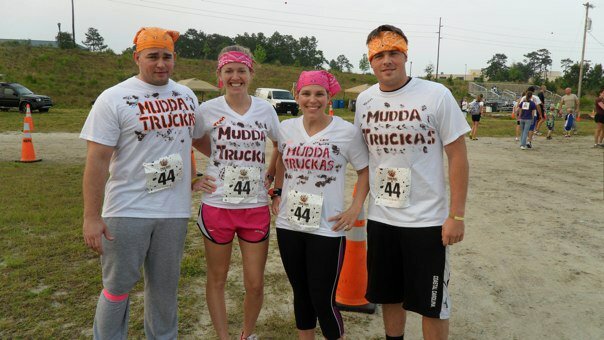 Team Mudda Truckas before -so fresh and so clean! I don’t have many pictures FROM the course, but you can read the description of the course here. 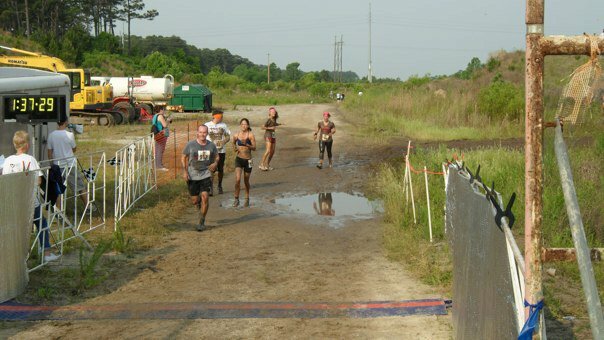 There were no chest deep swamps and blazing fires to leap over like at the Warrior Dash, no big burly guys dressed as Spartans pummeling you with their gladiator sticks as you run by like at the Spartan Race, and no 10,000 volts of live electric wires to run through, like in the Tough Mudder. 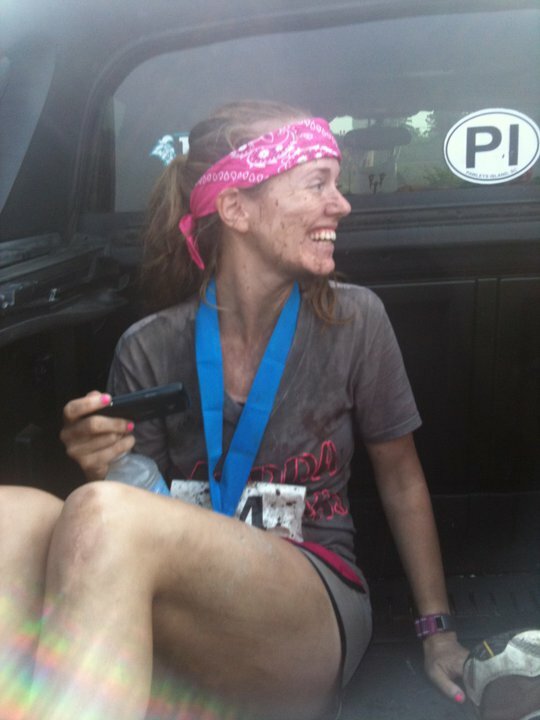 No, no, this was a good old fashioned MUD RUN . 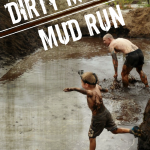 No frills, no taking shots of hot sauce, just fun, mud, and more FUN! We took off running down a dirt path. I giggled when a bunch of women passing in the other direction yelled to us “You better pace yourself girls, there is A LOT of running a head of you” in a warning tone. I laughed out loud. 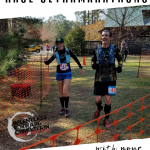 I wanted to shout back “You mean, like 3.5 miles worth of running?” (the advertised distance of the race) but just said “OKAY!” instead, I know they were just trying to help. Still, it made me laugh. 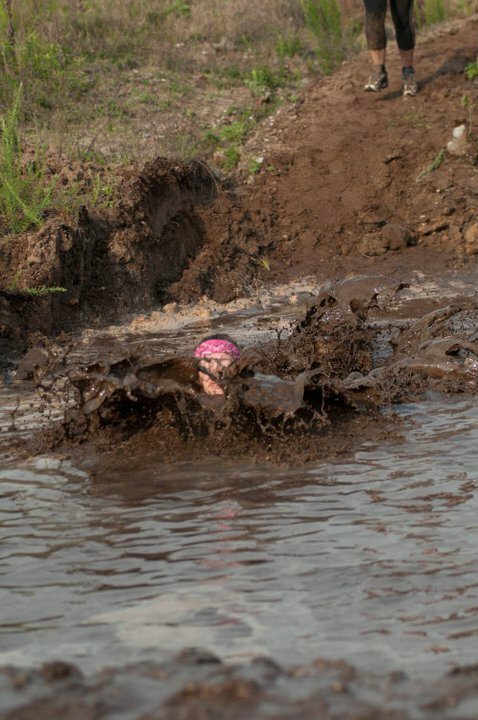 I find it ironic how often in these obstacle/mud run races people seem to forget a vital part….THE RUNNING! The obstacles aren’t lined up one on top of the next, you kind of have to RUN from one to the next. Luckily for me, I had that part down, for today at least. Less than a half a mile in we reached the first mudpit. The task was simple enough: crawl under the ropes. Those ropes being just a foot or two off the ground. 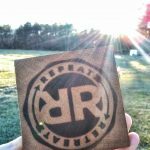 Now here is a mini-rant of sorts: to each their own, really, but quite frankly I just can not comprehend why people would come to a mud run and try their darndest to stay clean. Unless of course, they were trying to win, and the chaffing and added weight of the mud slows you down. But for the rest of us in the middle of the pack, there is no reason to tip toe around the tulips mudpits. Not for me anyway. I dove right in. Big fat belly flop. It’s the only way to go. 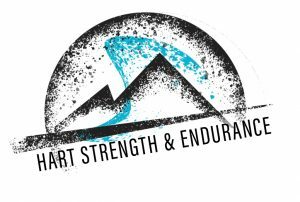 The run basically consisted of: crawl through mud pit, jump over 4 foot wall, over/under wooden posts (“grinders” they called them), up and down giant dirt mounds, and repeat. 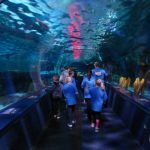 My favorite moment was the tunnels…instead of those plastic/metal/corrugated things that tear at your knees, these were honest to goodness cement drainage tunnels. Therefore, I was able to make a run at them and slide completely through on my stomach, slip-n-slide style. The only downfall to this was slipping back out the other end into the mudpit and taking on what felt like a GALLON of mud in the built in liner of my shorts (i.e. the “under-roos”). After feeling like I was waddling in a full diaper for a minute, I looked ahead, looked behind, saw Hope was the only one close enough to care, reached up and emptied the dirt load. Hey, a girls gotta do what a girls gotta do, haha! As a team, we were required to cross the finish line together. The race, however, was a free for all. One guy a head and one guy behind…3/4 of us met up at the top of the very last dirt-mountain and waited. And waited. 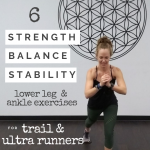 Hope sorta tricked her brother into believing that there wasn’t “that much running, haha, and on top of a bad knee, he understandably lagged a bit behind, poor guy! Eventually he met up with us, we ran down the hill to one last final mud pit, and thus, one last belly-flop dive for the day…. I’d cannonball, but it wasn’t deep enough. I got this AWESOME sequence of the final “dive” from Michael Ragusa of Creative Xpressions Photography!! Thank you so much for capturing these! So, we did it. 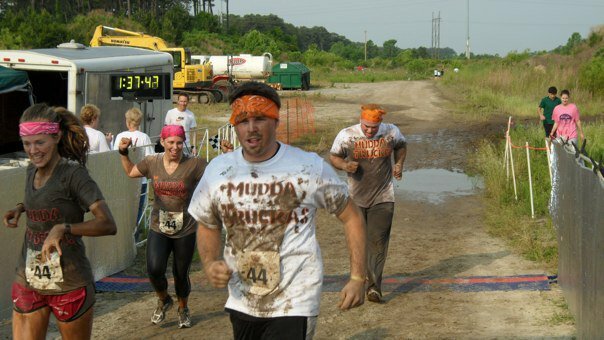 Survived a mud run, NO sprained ankles (or other injuries), had a good time, and helped raise money for a good cause. 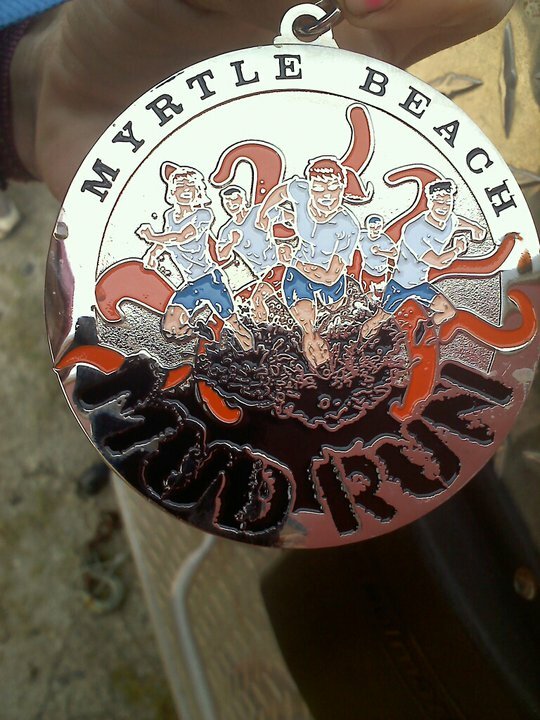 I was REALLY excited to see something like this come to Myrtle Beach and I was happy to see so many people out for some good, muddy EXERCISE and fun. Hope’s in-laws loaded us into the back of a pickup truck, like the muddy little piglets we were, and drove us home. I went back to my house, where my 4 year old refused to touch me, my 2 year old proclaimed “Eww, disgusting, get in da bathtub!” and I showered and scrubbed for a good 20 minutes. 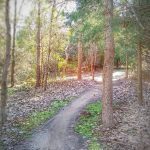 It wasn’t until I went to a birthday party just an hour later that I saw how intently the Myrtle Beach mud really sticks to you, and felt so embarrassed as Rich scrubbed the mud off of my chin in the middle of the party. Awesome. 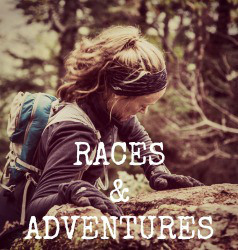 Sometimes I think I need a “I’m a crazy runner” disclaimer tattooed on my forehead. Kinda like this guy. 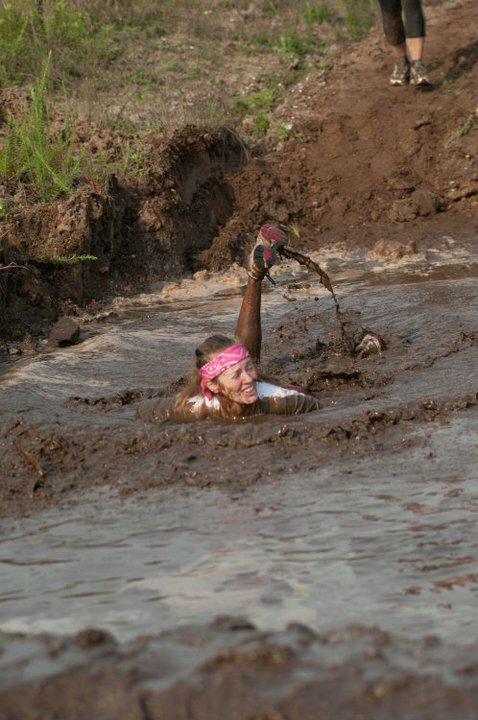 Long live the mud run! AWESOME!!!!! 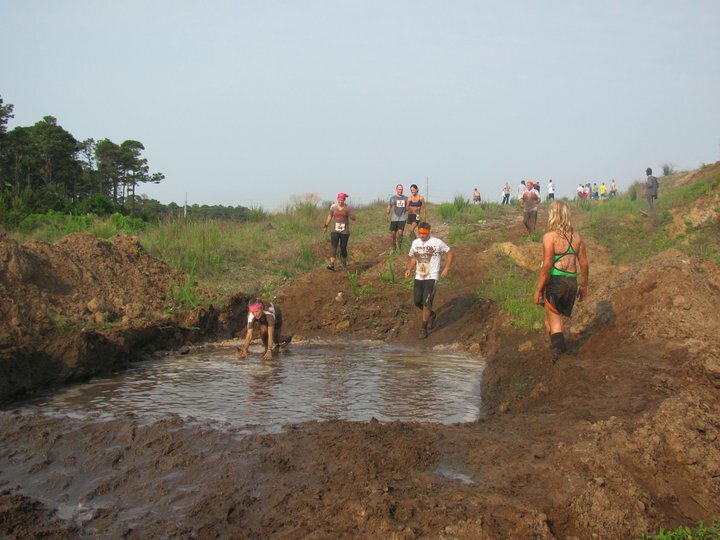 I am doing my first mud run at the end of July soo excited! Looks like a lot of fun!!! Love the pics!! That looks like a lot of fun. I love how the girls’ shirts are dirtier than the boys’. 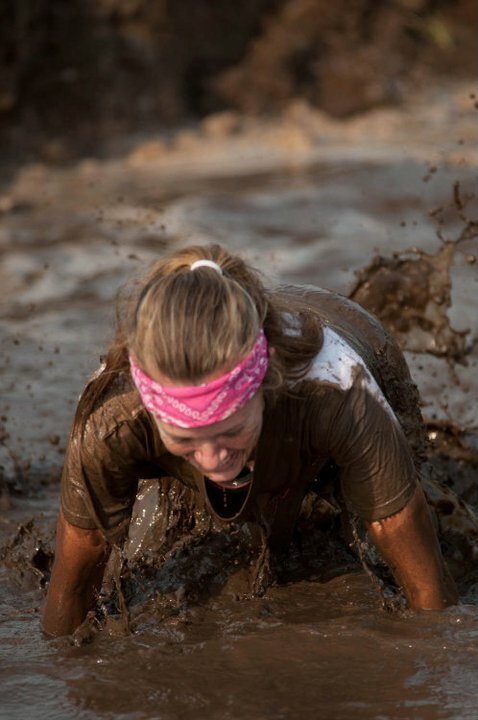 The last set of pics from the mud pit are awesome. Those pictures are sweet! That looks so fun. This looks like fun! I agree with Average A! Great job! Love the dive picture sequence! You were having fun for sure. That was amazing!! I must do one now–thank you! Looks like SO much fun!! Wish we had something like that down here in SA! I am so inspired by your hard work! You really make me want to just run! 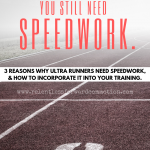 I have a (nearly) 11 month old daughter and I’ve been running casually since she was born but after reading posts like this from your blog (which by the way is one of my favs) I just want to give it MORE. 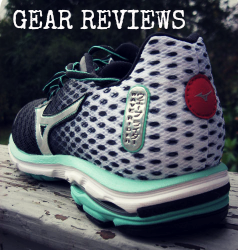 Do you have a post anywhere that talks about your favourite workout clothes? I’m in desperate need for some new ones! you look like you had a blast!! love it! Love the color difference in your shirts before/after! Too cool! Love the photos!! Looks like a blast!